Writing about your A-Fib journey is helpful to other A-Fib patients (and often cathartic for you). 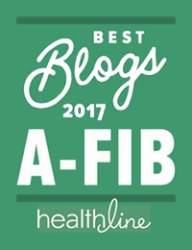 It’s encouraging to read how someone else has dealt with their A-Fib, and to know you’re not alone. Note: While many of our writers are now A-Fib free, some are not, but have found the best outcome for their situation. 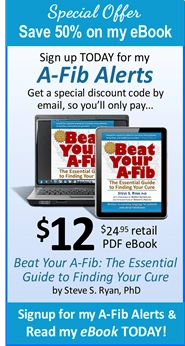 A few readers who’ve shared their A-Fib story. There’s no set format. 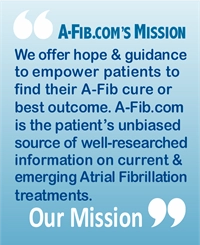 Just share your journey (the ups and the downs)―anything you think will help other A-Fib patients (such as, what advice would you give other patients with similar symptoms to your own?). The length is up to you. Some write a short page or two. Others include their day by day log. Most writers invite responses by including an email address. 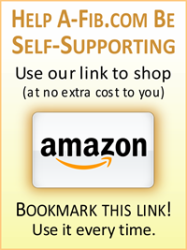 I suggest you browse the personal experience stories on our website. Look for a story format that suits you and use it as a guide. 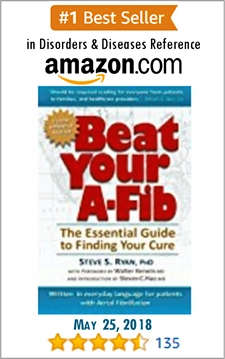 Usually writers include where they live, how and at what age they discovered their A-Fib along with critical milestone dates, treatments (successful and unsuccessful), facilities/doctors names, and current status of their A-Fib (not all writers are A-Fib-free, but are seeking their best outcome). As a closing, share a few of your ‘lessons learned’ along the way, i.e. 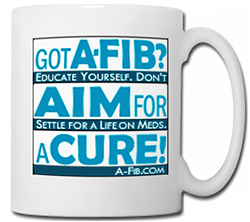 your advice to others with A-Fib, or what you wish you knew sooner. ♥ Send your story as an email attachment (or paste the copy into the body of the email). ♥ Include your first and last name, your city and state (or city and country). ♥ Attach a good quality photo of yourself. ♥ Send your email to me at ssryan(at)a-fib.com or use our Contact form. If you prefer to remain anonymous, let us know. We can handle that. I will review your story for clarity (and email you with any questions). Then I’ll format it for our website (add subheadings if needed.) My wife, Patti, will prepare your photo (crop, color correct, etc.). Then we send it all back to you for your approval. We will post your story shortly after we get an okay from you. Did I miss anything? I bet you have questions. Just email me at ssryan(a)a-fib.com or use our Contact form.. I look forward to reading your story.